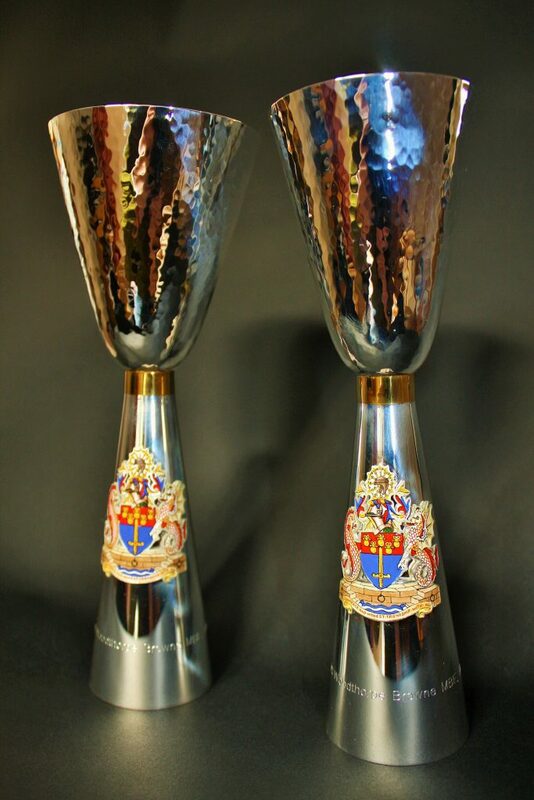 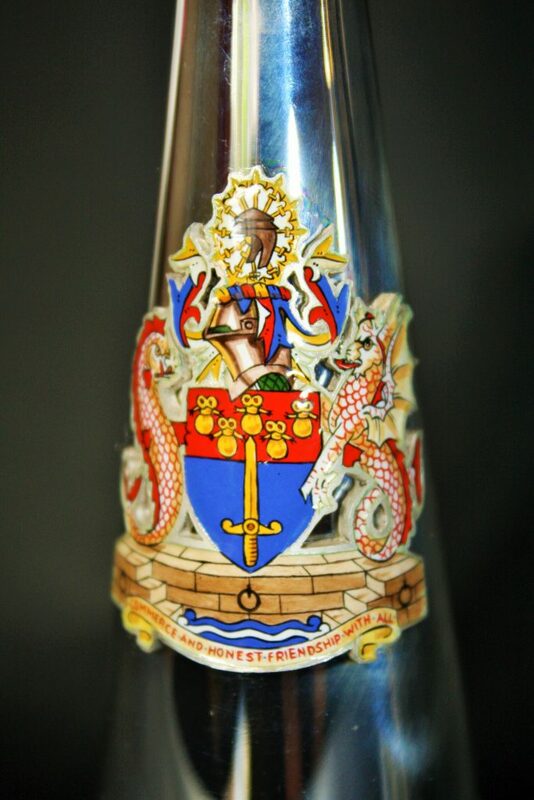 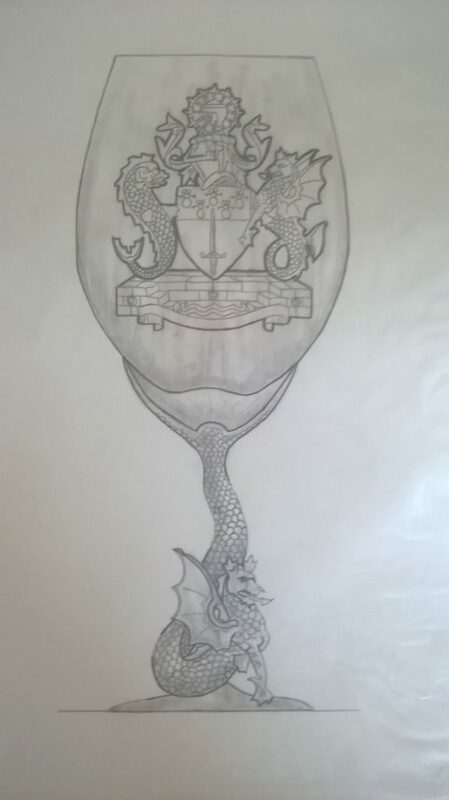 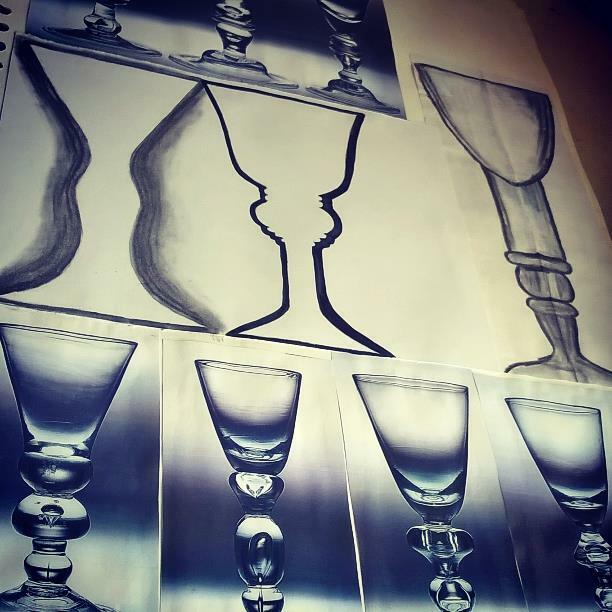 The Master of The Worshipful Company of World Traders 2016-2017 commissioned Abigail to design and craft a pair of silver wine goblets, as a gift to present his gratitude for his time as the Master. 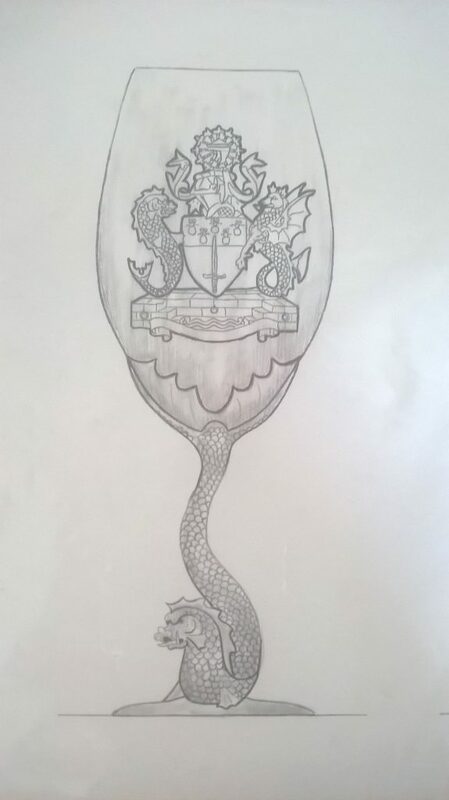 As shown in the images one of the commissioned goblets has a larger capacity, this is an identification sign that this is for red wine, allowing the wine to react with the air, meaning the smaller capacity goblet is for white wine. 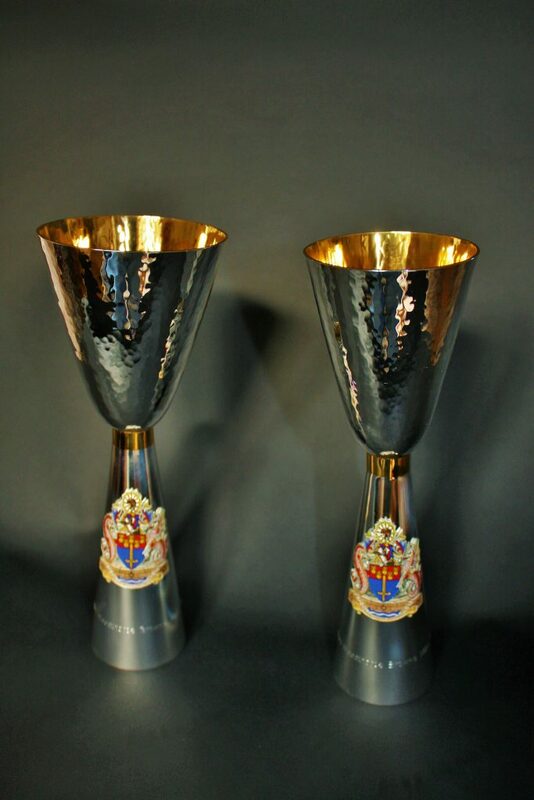 The goblets have an exquisite gold finish on the inside, a band surrounds the neck of the stem adding a dazzle of sparkle and quality, preventing the taste of the silver penetrating into the wine.